Philip Roth’s novel I Mar­ried a Com­mu­nist is the tale of Ira Ringold, a left-wing radio per­son­al­ity active dur­ing the HUAC/McCarthy inqui­si­tion of the late ‘40s/early 1950s, and his pro­tégé Nathan Zuck­er­man, a teenage writer aspir­ing to career as a radio drama­tist along the lines of such esteemed politically-progressive writer/producers as Nor­man Cor­win and Nor­man Cor­win. Roth’s mas­ter­ful por­trait of the trou­bled Ringold is at the book’s cen­ter, yet just as com­pelling is his account of Nathan’s growth, as he rec­og­nizes and even­tu­ally chafes under the lim­i­ta­tions that come from using one’s art pri­mar­ily as a polit­i­cal tool. Of course, I’m tempted to rend The Lit­tlest Marsalis with­out mercy (for instance: How ironic is it to hear some­one who presents him­self like Steve Urkel on prom night call some­one else a nerd? Elaine to George: “You’re bald!”). Child­ish sim­pli­fi­ca­tions and gen­er­al­iza­tions abound, yet rather than decon­struct every line, let’s instead address Jason’s over­ar­ch­ing theme, in which he pre­sumes to under­stand, then dis­miss, some­thing that appar­ently eludes him, to wit: The over­rid­ing moti­va­tion to cre­ate seri­ous art is the com­pul­sion (need, desire, obses­sion) to cre­ate seri­ous art. Enter­tain­ing peo­ple; per­pet­u­at­ing and nur­tur­ing a folk tra­di­tion; mak­ing a liv­ing?—?these are wor­thy goals, yet have as much to do with cre­at­ing seri­ous art as the abil­ity to wig­gle one’s ears. 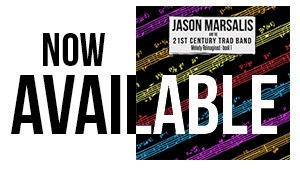 The not so sub­tle sub­text in Jason’s mes­sage is that a will­ing­ness to con­form is the most impor­tant trait a jazz musi­cian can pos­sess. Every jazz musi­cian must play “stan­dard songs … that hun­dreds upon hun­dreds of peo­ple (have) sung along and learned …,” or he’s a pre­ten­tious nerd. And the audi­ence is equally cul­pa­ble, affect­ing a lik­ing for some­thing they can’t pos­si­bly under­stand … since, accord­ing to Jason, the musi­cian doesn’t under­stand it himself. Jason comes off as the leader of some high school clique intent on enforc­ing the shal­low behav­ioral norms of ado­les­cence (woe to the kid who wears the wrong brand of sneak­ers). Like any teenager who knows it all by age 16, Jason assumes he can divine the moti­va­tions of peo­ple whose expe­ri­ences are in fact totally alien to him. In fact?–?and this I wish could go with­out say­ing, although it obvi­ously can­not?–?no one can truly know the moti­va­tions (to say noth­ing of the likes and dis­likes) of a fel­low human being. It is cer­tain that not every­one is suited to flow with the main­stream. Of course, some mem­bers of that main­stream pre­sume that because they do not under­stand some­thing, it is beyond under­stand­ing and there­fore ripe for mockery. The funny thing is, I have no doubt (though I can’t know, wink-wink) that Jason makes music for essen­tially the same rea­son that I do?—?because he must. He has the need/desire/obsession to play what he plays. Jason wants to com­mu­ni­cate with an audi­ence, and he feels it impor­tant to respect his elders and the jazz tra­di­tion. So do I, but none of those fac­tors are any­where near the pri­mary rea­son I make music. I sus­pect they’re not the main rea­son Jason Marsalis does, either, even if he doesn’t know it him­self. Any seri­ous artist does what he does the way he does because he’s hard-wired to do it. Some of us like to color out­side the lines, oth­ers don’t, but we’re all as seri­ous as your life. This entry was posted in Articles, Press and tagged ado­les­cence, Child­ish sim­pli­fi­ca­tions, Chris Kelsey, col­lege instruc­tor, Com­man­der Data, comedy-illiterate, folk tra­di­tion, high school clique, humor, I Married a Communist, Ira Ringold, Jason Marsalis, jazz elders, jazz musi­cian, jazz tra­di­tion, Jazzblog.ca, left wing, Leo Glucks­man, McCarthy inqui­si­tion, Nathan Zuck­er­man, Nor­man Cor­win, novel, Peter Hum, Philip Roth, polit­i­cal tool, politically-progressive, pre­ten­tious nerd, Press, radio drama­tist, radio personality, seri­ous art, seri­ous lit­er­a­ture, stan­dard songs, stand-up rou­tine, Steve Urkel, teenager, The Lit­tlest Marsalis, USS Enterprise, writer/producers on May 20, 2010 by abell.